Learn to make Online Dating fun! Get the dates you want! Upgrade your profile to specifically attract them! Platinum ticket includes 30-minute private coaching session afterward, to help you continue improving! We use Mailchimp -- by clicking the button, you acknowledge that your email will be transferred to them to send you the 11 Steps. 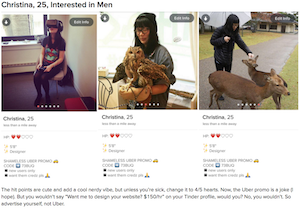 "We asked Greg Schwartz, the creator of Make Online Dating Fun, to explain the traits of a good Tinder profile. Then we asked him to evaluate the Tinder profiles of five single users and help them figure out what they could do to improve their chances of finding a match by Sunday. Here’s what he told us..."
﻿Greg is an excellent online-dating coach! I found him particularly helpful with choosing the best pictures for sites, learning how to test whether they were effective, how to craft personalized but efficient messages. 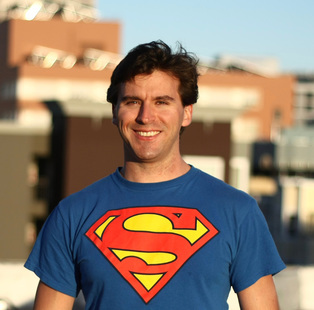 ​Greg was supportive, helpful, funny, and made the process more fun. I have since found dating to be more enjoyable than it was before and have several women that I'm dating now and excited about. The biggest change I made was getting rid of neutral and bad pictures. Despite knowing better, I was lazy in that department. Then I rearranged my pics and have had a lot of matches. ﻿Greg will make it fun, take the anxiety out of dating, and help place you in the most confident space possible. I hated online dating. I spent a few years on-and-off trying and it was like throwing stones into a black hole -- I got nothing back. Then I started following Greg's advice and a few weeks later I'm seeing tangible results! Saving the world by helping men with online dating and confidence! More than 70% of his clients have gotten better matches, more dates, awesome relationships, or even gotten married. With a Master’s degree from Stanford University, Greg is an international speaker teaching men to be confident and powerfully vulnerable -- the best version of themselves. 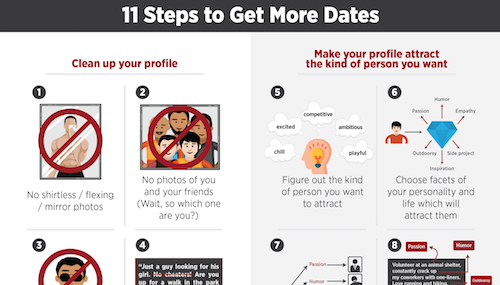 Get the 11 Steps to Get More Dates!